Gwyneth Paltrow and Chris Martin consciously coupled up for a sweet family photo with their kids. The friendly exes proved they were just that in an Instagram pic Paltrow shared on Wednesday. Paltrow and Martin sit alongside their children, 13-year-old daughter Apple and 11-year-old son Moses, in the snap, smiling on steps in front of a doorway. The former spouses announced their "conscious uncoupling" in 2014, after 10 years of marriage, but have remained on good terms ever since. 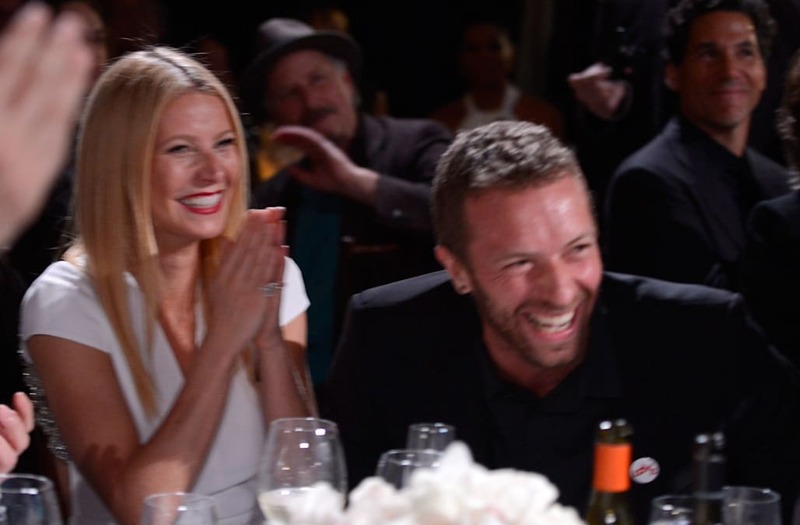 Paltrow has even called the Coldplay frontman her "brother" after their separation. "#42," the actress captioned Wednesday's cute pic. Paltrow, who wished Martin a happy birthday with another family photo earlier this month, was spotted hanging out with Martin in February at Ellen DeGeneres' star-studded birthday bash. The Oscar winner attended the event with her fiance, Brad Falchuk, while Martin brought along his girlfriend, Dakota Johnson. Also at the party was Martin's ex, Jennifer Lawrence. @barackobama and @michelleobama thank you for your brilliance, your grace, your example. May your next chapter be as inspiring to you as you are to us. Pregnant Chrissy Teigen reveals she almost got run over by a cyclist -- see the pics!